Despite being considered one of the favourites to win the 2018 FIFA World Cup, Brazil found itself knocked out of the picture on July 6, with Belgium defeating it 2–1 in the quarterfinals. The team was despondent to be going home, originally hoping to make amends for the humiliating defeat they suffered at the last World Cup, when they were defeated 7–1 by Germany, the eventual champions. This time, Germany was eliminated in the group stage of the tournament, never playing a game against Brazil. No one on Brazil appeared more than star winger Neymar, who has been regarded as not merely a master of the sport but also a master of theatrical flops and dives. Even as distraught as he was after the final whistle, social media shared no sympathy to the Brazilian player for his continuous diving in the tournament, especially in the round of 16, when Brazil faced Mexico and won 2–0. Neymar has not been the only player accused of diving in the World Cup, and he will certainly not be the last. Nonetheless, the constant viewing of him flopping, diving, sliding, and rolling on the Russian turf displayed to fans just how indomitable teams of the past once were. Memes of his exaggerated flop in Brazil’s match against Mexico have been trending on multiple social media platforms, reducing the Brazilian star to mockery. With drops and flops as part of a longing tradition in the well-known sport, the issue with exaggeration to obtain a foul call has been seen as either hilarious or annoying. 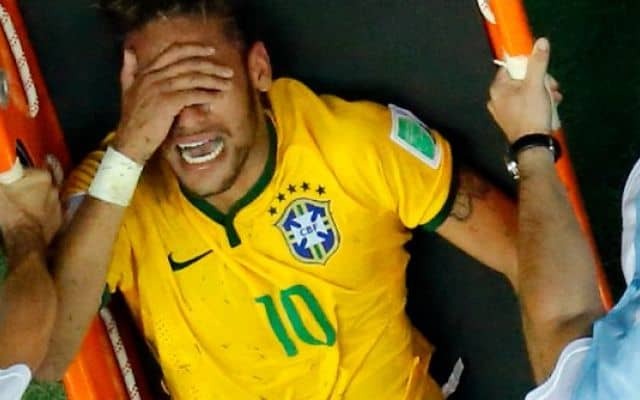 In Neymar’s case, his long history of overacting on the field poses the question: Does this prolonged tradition need to be more severely penalized, or even disciplined? This particular tradition has been a major hindrance towards the players and teams who are the culprits, as this action allows the clock to run down, wasting the time left in the match. Additionally, this action brings the consequence of yellow cards or ejections toward either team in the match. According to a recent analysis by television station Radio Télévision Suisse Sport, Neymar’s habitual crazy dives and slides on the field has cost his team, opponents, and fans a whole 14 minutes over the course of four matches. With all the consequences of this tradition being considered, the diving, sliding, flopping, rolling, and parkouring are often considered the entertaining parts of the game, as they bring gratification the viewers of the sport. Of course, the exaggeration part of it is the real problem: exaggeration in sports toward other players and teams can be seen as a weapon. Ultimately, with Neymar tumbling out of the picture in the World Cup, the rest of the tournament lies on the shoulders of the teams that remain standing. Should teams run up the score in games?